I came across a chap with his terrier type dog this morning whilst out with Ziggy. He proceeded to behave, somewhat, oddly with his dog. As we approached, he turned away from us, shortened the dogs’ lead and made him sit, all the while blocking the dogs’ line of site to us. During our approach he was also constantly feeding his dog treats. As we reached him, he continued to try to get between his dog and us. Of course, I asked him what he was doing. ‘Stopping my dog looking at your dog’ came the reply. Strange indeed. He explained that his dog could be a little unpredictable. I asked him to relax and allow his dog to relax a little also – as the dog sat, calmly, I offered him and my dog a treat – duly taken by both dogs. I have seen this type of behaviour replicated a number of times now. In my opinion, this is a disturbing trend in how to deal with ‘reactive’ dogs. In fact, it is counter-productive. Instead of dealing with a behavioural issue, owners are encouraged to take this, rather drastic, avoidance action. This doesn’t serve the dog well – in fact, this may prevent him from getting over his behaviour issue. What should be happen is that the dog with reactive issues should be exposed to dogs in a controlled manner – at distance and then ever closer as the dog begins to calm when in proximity of other dogs – desensitisation. There are always exceptions to the rule. 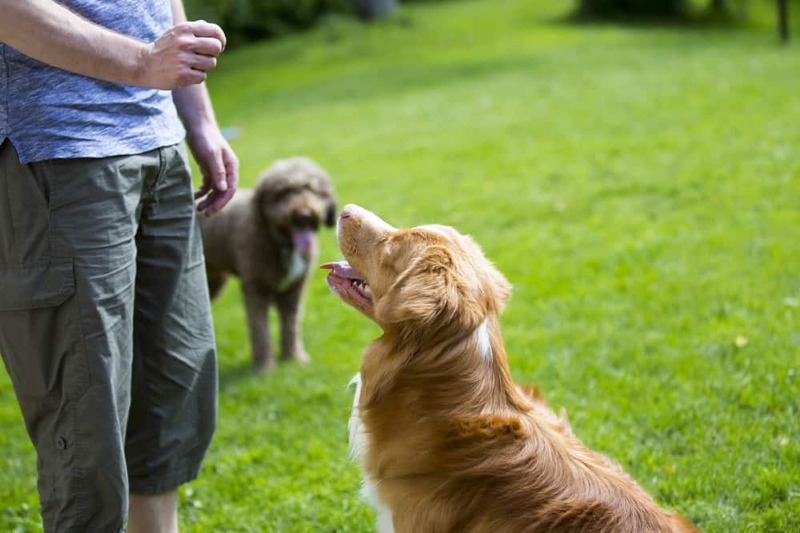 Some dogs are extremely reactive and it can prove very difficult to help them modify their behaviour. These dogs need to be dealt with very carefully by experienced handlers. However, the majority of dogs, can be helped with careful desensitisation to the issue that challenges them. Simply, stopping the dog from experiencing other dogs or situations naturally is a flawed approach. So, think carefully before adopting the ’out of sight, out of mind’ approach too readily.